I don’t use the Notification Center that often on my iPhone, but when I do, I’ve always hated the way you clear notifications. Having to tap twice made the whole process take too long and make me not want to use the feature even more. 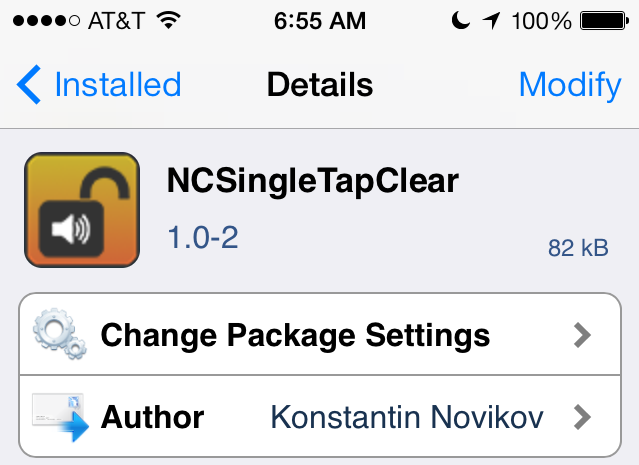 Thankfully there is NCSingleTapClear! This removes the second tap needed to clear a group of notifications. Just tap the x and it’s cleared. Usually you have to tap x and then tap the word clear. This little hack is free in Cydia. 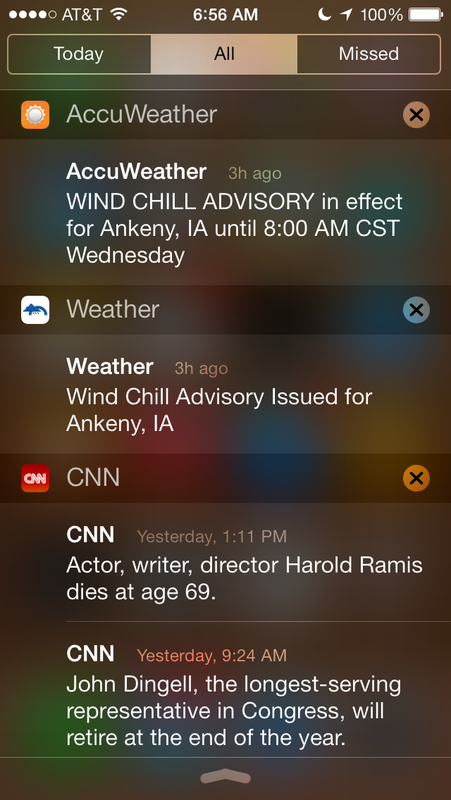 Clear notifications from Notification Center with “x” button single tap. Supports all devices running iOS 7 including A7-powered iPhones 5S etc.